It isn’t easy to obtain organic wine certification from the USDA. Just to illustrate the challenge, let’s look at a few statistics, courtesy of Wines&Vines magazine: While U.S.-made organic wine only made up 1 percent of sales by volume and 2 percent by value in 2017, European organic wine sales grew by between 10 and 20 percent from 2013 to 2016. Why this disparity? The simple answer is that regulations differ in each market differ. In Europe, the EU publishes standards that vintners must meet in order to label their products as organic. In the United States, the U.S. Department of Agriculture (USDA) is in charge of this designation. The two regulating bodies have widely differing standards, and they’re far more strict on American soil. Specifically, organic European wines allow added sulfites; organic U.S. wines do not. That difference is enough to cause the relative dearth of American-grown wines with the USDA Organic label. But there’s a difference between organic wine and wine made with organic grapes, and the latter designation could give U.S. wines the edge they need to compete with their European counterparts. Grapes, yeast, and other organic ingredients must all be certified organic, with the exception of substances on the USDA National List of Allowed Substances. No added sulfites are allowed. Non-agricultural ingredients cannot exceed 5 percent of the wine. Salt and water are exceptions; these may be added in any volume. Only non-agricultural ingredients that appear on the USDA National List are permitted. Labels must include the name of a specific organic certifying agent. Certifying agents are USDA-accredited organizations. All of the grapes used in the wine must be certified organic. Makers may add sulfites up to 100 parts per million. The exception to this rule is wines made with fruits other than grapes. Yeast and other agricultural ingredients are not necessarily required to be organic, although certain production methods are banned. These include genetic engineering and the use of ionizing radiation. Non-agricultural ingredients must appear on the USDA National List. Again, makers must print the certifying agent’s designation on the label. These wines may not use the official USDA Organic label; instead they can advertise that they are made with organic grapes. Contact a local, USDA-accredited certifying agent to begin the process of designating a wine organic or made with organic grapes. Find your nearest certifying agent here. “Accredited Certifying Agents.” USDA. Agricultural Marketing Service, U.S. Department of Agriculture, n.d. Web. 6 Dec. 2018. McEvoy, Miles. “Organic 101: Organic Wine.” USDA. U.S. Department of Agriculture, 8 Jan. 2013. Web. 6 Dec. 2018. “The Organic Wine Dilemma: What to do?” WineFolly. Wine Folly LLC, 14 Oct. 2016. Web. 6 Dec. 2018. “Organic Wine: Oversight, Labeling, and Trade.” USDA. Agricultural Marketing Service, U.S. Department of Agriculture, n.d. PDF. 6 Dec. 2018. Strayer, Pam. 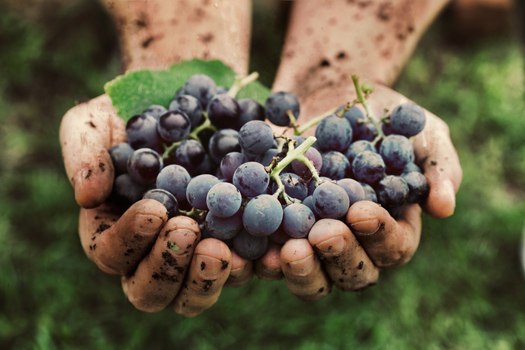 “The Organic Opportunity: Will the U.S. Wine Industry Miss Out?” WinesandVines. Wine Communications Group, Inc., Jan. 2017. 6 Dec. 2018. “Title 7, Part 205 - National Organic Program: The National List of Allowed and Prohibited Substances.” ECFR. U.S. Government Publishing Office, 3 Dec. 2018. Web. 6 Dec. 2018.